In developing countries, medicines—when actually obtainable—are often dispensed into hands, pockets, leaves or any other available container. The Genoa, Kirk and Stratton United Methodist Churches invites you to donate empty pill bottles in support of Matthew 25 Ministries which provides basic medical supplies such as empty pill bottles to help improve health care quality in developing nations. Donations of clean, unlabeled pill bottles help the poorest of the poor in many ways: Medicine can be distributed in sterile containers and this plastic recycling program keeps thousands of bottles out of landfills each year. Placing a nickel, dime or quarter in each pill bottle helps with shipping costs to send the bottles to developing countries. Remove labels and adhesive (a quick dip in boiling water may remove the label if it is unpealable followed by something such as nail polish remover to remove lingering adhesive). Wash all bottles and caps in very hot water and dish soap. Washable bottles must have an all plastic lid. Rinse and dry thoroughly. Clean, recapped bottles should be placed in large ziplock bags marked "Clean Bottles" and these are blended with medical supplies. 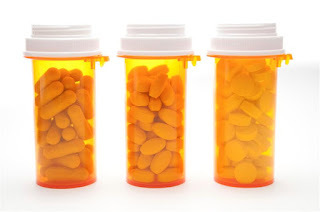 Pill bottles are included with mixed medical supplies that are shipped internationally to locations that have included Belize, Dominica, Dominican Republic, El Salvador, Ghana, Grenada, Guatemala, Guyana, Haiti, Honduras, Jamaica, Liberia, Mexico, Nicaragua, Sierra Leone, Turkey and Trinidad. Your donation of empty, clean pill bottles may be dropped off at any of the following United Methodist Churches: Limon, Genoa, Kirk or Stratton or by calling Pastor Vickie Maxon for pick up at 719-763-2377.